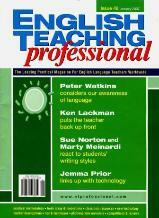 'teacher talking time' as the content of lessons. used with printouts from websites of language databases known as "corpora". which Ken Lackman developed in 1997.